Encaustic is an ancient painting medium. The Egyptians and the ancient Romans used beeswax based paints and the work has lasted for centuries. 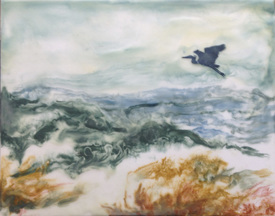 The encaustic technique involves suspending pigments in a hot wax medium and applying to a rigid support. I enjoy exploring all of the creative possibilities of this technique and I'm having a lot of fun with it! As with my mixed media/collage work, I find that this medium is very receptive to layering. I enjoy embedding thin papers, and layer with both opaque and translucent hot wax. I make my own medium (a combination of beeswax and damar resin) and I mix my own colors, using raw and manufactured pure pigments suspended in the melted medium. A favorite find: at a yard sale I found a very old can of 'bronzing powder.' After looking it up I find that it is actually powdered mica. It adds a wonderful shimmer to some of the wax layers. 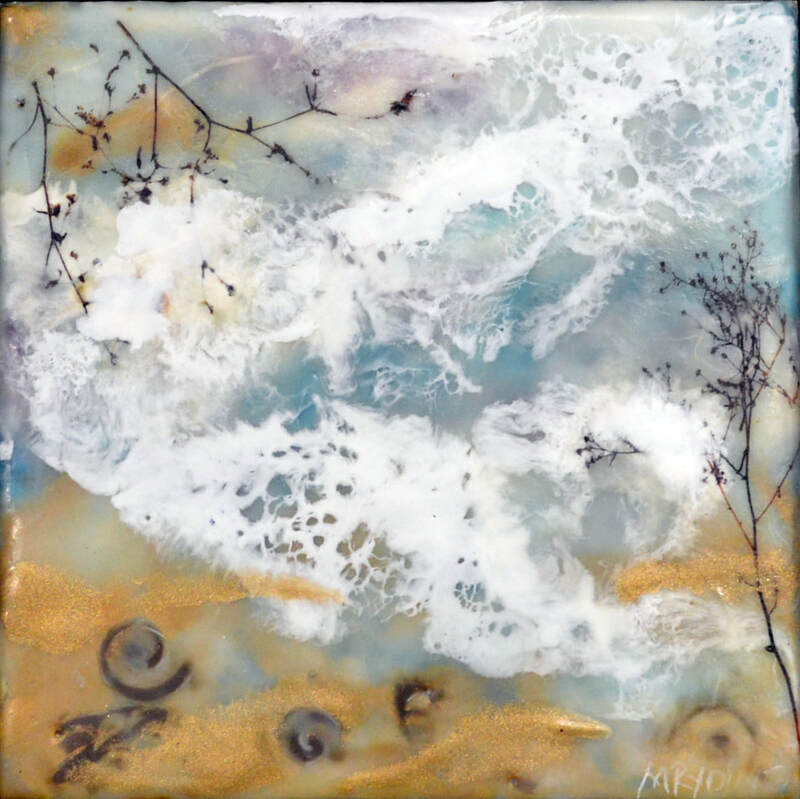 Below are a few examples of my encaustic work. "Bright Orange Maples Under a Grey Sky"